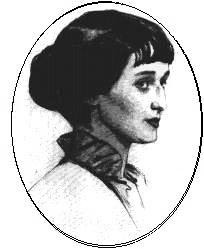 ﻿ Poetry Lovers' Page - Anna Akhmatova: "I Was So Praying...."
You are here: Home » Russian Poets » Anna Akhmatova » "I Was So Praying...."
ANNA AKHMATOVA: "I Was So Praying...."
There’s no a chance of any freeing. Such I kiss grounds yours, Oh God! And this strange dumbness, to admire?